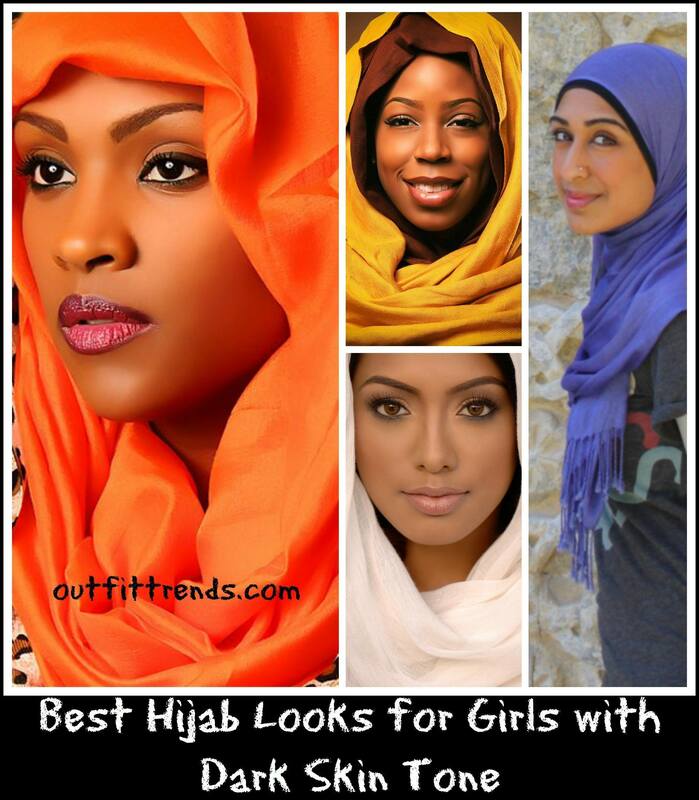 Hijab Styles for Black Girls. What colour of hijab looks best on a girl with dark skin? How should I style my hijab with my skin tone? So many questions and yet you will not believe how simple the answers are. There are certain colours which look best on girls with darker skin tone. These colours include but are not limited to blues, reds, pinks and many other pastel shades. But do you want to know what the best colour in the whole wide world is? The one which looks best on you! So I would suggest that you try each and every colour and style we have shared in this article and then decide which one or ones are the best for you. 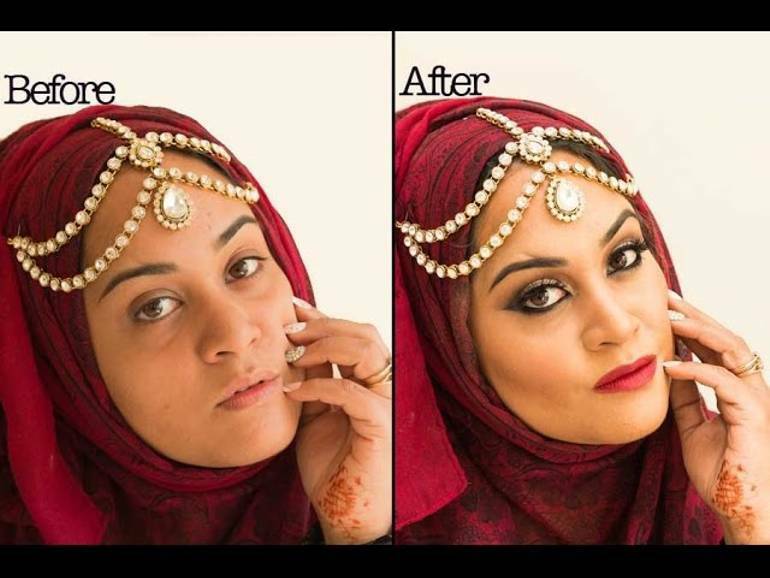 Girls with darker skin tones are often not confident about the right hijab shade for them. Today we have compiled a number of pictures of dark skin beauties who have enhanced their modesty and style with beautiful selection of hijab colours and styles. Beauty definitely lies in simplicity but occasionally, particularly for special events, you should not forget to wear some nice make-up. Never ever try to use it to whiten your skin tone though as you know how beautiful it is. Just use it to enhance and further beautify your features. The perfect modest look for african women. #20- Pastel Shades- Pastel and Plum Hijabs look beautiful on all girls with dark or olive skin tone. Depending on your personal style, if you like to dress up in funky colours then neons look great on cloudy days. I would suggest that you avoid them in summers though. This girl looks gorgeous in that leopard hijab paired with a matching belt for elegance and style. A simple and sophisticated look for casual wear. An all black hijab is beautiful for dark skin girls. Patterned Hijabs look great with a black blazer whether it’s for casual or professional wear. Wearing a hijab colour that contrasts your outfit or abaya is always a great concept. For instance, a light blue hijab matched with a dark blue abaya.A perfect look for african arab women. Unlike dull colours, bright ones can really help brighten your skin tones. This look is great for all school and college girls. While blue will enhance your skin colour, it also looks pretty and decent with any outfit. As you can see here, all solid colours look great in any shade for dark girls. An awesome combination for Fall. Whether it’s your own wedding or you are a wedding guest, these turban hijabs in shades of off-white paired with beautiful accessories are fabulous. While bright colours won’t always look great, but they work well in winters. For Autumn or Fall season, this colour combination is perfect as it truly represents the colours of Fall; Burgundy and Yellow. Lace Hijabs look spectacular for formal events. Choose ones with a lighter skin tones than yours so it can bring a glow to your face. This is a perfect combinations for girls with olive to dark skin tones and looks even better on special occasions. Here is a simple off-white hijab which has been styled exceptionally to perfection with soft and natural make-up. It is simple and yet beautiful enough for every day wear or even to wear to work. Wow. First and foremost, it’s a shame that the first portion of the post is saying “you aren’t beautiful without make-up”. I think you can do better than that.